What to expect in this new product? A standard Cubro supported product with designated applications. An open community platform where users get the hardware with an Ubuntu linux open software which allows them to develop any software. Cubro will provide a user forum on www.cubro.org for this product but no software related support. The users can develop several applications because several open source software are available for ARM CPU. 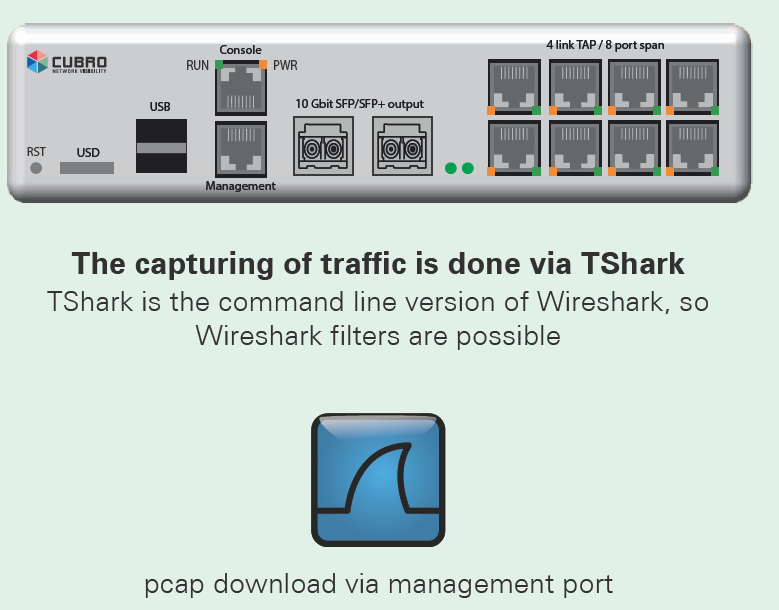 Some examples include Wireshark, Openwrt, Ntop.